A child in its innocence will accept knowledge uncritically from its elders. As the Jesuits say, give me a boy for his first seven years and I'll give you the man. Abrahamic indoctrination of children aims to hit them when they are at their most vulnerable. Psychologist Jill Mytton, a child victim of an abusive religious cult, described a ruined chilhood dominated by fear of dissapproval in the present, and a future of eternal damnation by a God obsessed with torture. She now counsels other adult survivors of childhood religious abuse. An evangelist pastor said that the optimum age for visiting his 'Hell House' was twelve, where children approaching the first stirrings of sexual awareness are given the Biblical 'God hates gays' message, portraying two lesbians being condemned to hell for their 'repulsive lust for one another' on the basis of first Corinthians section 6. Dawkins views 'faith-schools' as deeply divisive and in many cases teaching children utter nonsense, for example that the entire world was created after what archeologists would recognise as the agricultural revolution. The 'Culture Wars' within the American and British educational systems are causing ever increasing polarisation between rationalists and believers. "As New Scientist says in "Enemy at the gates", "their aim is to destroy science" via a wedge strategy that starts with an attack on Darwinian evolution in the form of the "theory" of Intelligent Design. Every scientific theory that touches on man's place in the universe will likely be attacked: the Big Bang, the age of the Earth, etc. Anything that contradicts Holy Writ is blasphemy to fundamentalists "
The conflict between science and religion is probably more acute now than at any time since the Scopes trial in the 1920's. One of the reasons is the perception that Darwinism in some way destroys spirituality. But in fact, if you think carefully about emptiness and impermanence, Darwinism makes more sense from a Buddhist viewpoint than does creationism. And, on careful examination, it's difficult to see how creationism makes much sense to anyone, since there are two conflicting creation myths in Genesis. Intelligent Design' is an attempt to salvage some sort of semi-Biblical creation story out of modern geology, cosmology and biochemistry. But it is doomed to failure, because even if its conclusions were true - that some systems are just too complex and interdependent to have occurred by evolution  this doesn't prove anything about the designer. It needn't be the God of the Bible or the Allah of the Koran, as the Pastors of Pasta have pointed out. Buddhism doesn't have the same degree of antipathy towards science as do the Abrahamic religions. This is probably because the Abrahamic religions are based on revealed (if inconsistent) truths, whereas Buddhism is based on experienced truths. The Abrahamic revealed truths are either inspired by God, or are the literal unmediated word of God whose contradiction is punishable by death - quite a different approach from Buddha's advice not to take his word, but to check it for ourselves! In contrast to the revealed religions, Buddhism could almost be described as a form of spiritual humanism, as its objectives are to achieve the ultimate in human potential. Abrahamic religion has not only been in conflict with science (in recent centuries) but there is a far older religious conflict with philosophy, free enquiry and rationality in general. In 399 BC Socrates claimed `The unexamined life is not worth living', before he was executed for heresy. 'The unexamined life is not worth living' is where the Buddha started out, a couple of hundred years before Socrates. If Prince Siddhartha Gautama had decided that his pampered life of luxury in the Palace was worth living, the world would never have heard of Buddhism. It's because he decided to examine real life, warts and all, that we have the Four Noble Truths. In contrast to Socrates, Buddha didn't get executed for heresy.. Maybe ancient India was a more tolerant place than ancient Greece. Or maybe, being a Prince, he had friends in high places. Of course we can argue till the cows come home whether Buddhism is a philosophy or a religion. But these terms may purely reflect our western historical experience of the antagonism between religion and philosophy/science (in the early days, Science was known as `Natural Philosophy') If Buddhism is indeed a religion, then it's one that has arisen out of the same quest for truth that was the basis of western philosophy. In contrast to the increasing polarisation between science and the theistic religions, there is an increasing convergence between Buddhism and science. Both systems are empirical. They rely on repeatable, verifiable experiences rather than instructions revealed once and for all from some otherwise inaccessible source. 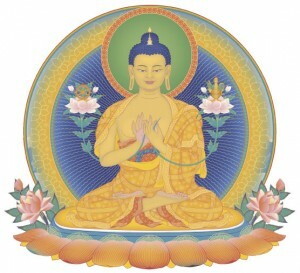 This convergence of Science and Buddhism presents an opportunity for skilful means to present the Buddhadharma to intelligent people in the West, who are not impressed by fundamentalist anti-science and dumbing-down, or the "believe it or we'll kill you" approach, yet who equally reject the idea that they are `nothing but biological machines', with no spiritual aspect. This opportunity seems to be understood by His Holiness the Dalai Lama, who in recent years has sponsored a number of initiatives to bring scientists and Buddhist practitioners together. In the same week that Dawkins' programmes were broadcast, and a British court was told that "there was no liquid loved more by Allah than the liquid of blood", another science and religion article appeared in the New Scientist, but very different in tone to the earlier one about anti-scientific fundamentalists. The article was written by H.H. the Dalai Lama and explored the similarities between the Buddhist philosophical concept of emptiness, and modern theories of quantum physics. In a society which is becoming ever more divided between the mechanistic reductionist materialists, and anti-rational religious fundamentalists, Buddhism may offer a Middle Way. As fundamentalism increases its hold, liberal rational Christianity is dying out. Indeed, the future of liberal Christianity may well be Buddhism. That is assuming that any soft and gentle spiritual paths can survive the growing clash of civilisations and violent polarisation within European society.